Adel Batterjee, a wealthy Saudi businessman who is also the founder of both BIF and its predecessor, Lajnatt Al-Birr Al-Islamiah. He appears to be mentioned as a recipient three times. [United Press International, 2/11/2003] The US will declare him as a terrorist financier in 2004 (see December 21, 2004). 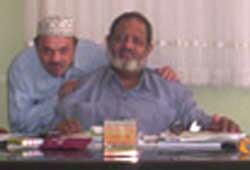 Wael Hamza Julaidan, a Saudi millionaire and one of the founders of al-Qaeda. He is listed as a recipient. The US will declare him a terrorist financier in 2002 (see September 6, 2002). Saleh Kamel, a Saudi billionaire, and the majority shareholder of the Saudi conglomerate Dallah Albaraka. In 2003, Forbes will call him one of the richest people in the world. The list has him giving money to Batterjee. Zahid Shaikh Mohammed, the brother of 9/11 mastermind Khalid Shaikh Mohammed (KSM), works as the head of the Pakistani branch of the charity Mercy International. A book published in 1999 will allege that this charity, based in the US and Switzerland, was used by the CIA to funnel money to Muslim militants fighting against US enemies in places such as Bosnia and Afghanistan (see 1989 and After). It is not known when Zahid got involved with the charity, but he is heading its Pakistani branch by 1988, when his nephew Ramzi Yousef first goes to Afghanistan (see Late 1980s). [Reeve, 1999, pp. 120] In the spring of 1993, US investigators raid Zahid’s house while searching for Yousef (see Spring 1993). 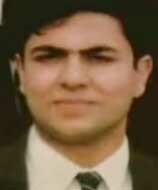 Documents and pictures are found suggesting close links and even a friendship between Zahid and Osama bin Laden. Photos and other evidence also show close links between Zahid, KSM, and government officials close to Nawaf Sharif, who is prime minister of Pakistan twice in the 1990s. The investigators also discover that Zahid was seen talking to Pakistani President Farooq Ahmad Khan Leghari during a Mercy International ceremony in February 1993. [Reeve, 1999, pp. 48-49, 120] But despite the raid, Zahid apparently keeps his job until about February 1995, when Yousef is arrested in Pakistan (see February 7, 1995). Investigators learn Yousef had made a phone call to the Mercy office, and there is an entry in Yousef’s seized telephone directory for a Zahid Shaikh Mohammed. Pakistani investigators raid the Mercy office, but Zahid has already fled. [United Press International, 4/11/1995; Guardian, 9/26/2001; McDermott, 2005, pp. 154, 162] It is unclear what subsequently happens to Zahid. In 1999 it will be reported that he is believed to be in Kuwait, but in 2002 the Kuwaiti government will announce he is a member of al-Qaeda, so presumably he is no longer welcome there. [Reeve, 1999, pp. 48; Los Angeles Times, 9/1/2002] Mercy International’s Kenya branch will later be implicated in the 1998 US embassy bombing in that country, as will KSM, Zahid’s brother (see Late August 1998). 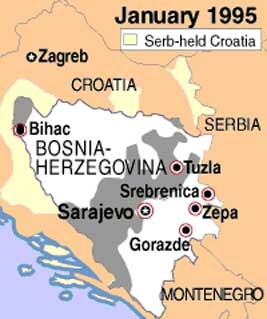 In a meeting held in Lisbon by the European Community, top Bosnian Serb leader Radovan Karadzic, top Bosnian Muslim leader Alija Izetbegovic, and top Bosnian Croat leader Stepan Klujic sign an agreement to partition Bosnia into three ethnically based divisions which would form a loosely joined independent confederation. But the New York Times will later report, “A few days later, influenced by what he saw as an encouraging conversation with Warren Zimmermann, the United States ambassador, [Izetbegovic] changed his mind.” The Bosnian Muslims and Croats then quickly hold a referendum on the issue of Bosnian independence which passes by 99 percent on March 1, but the Bosnian Serbs boycott the vote. [New York Times, 10/20/2003] Then, on March 18, the same three leaders hold another meeting in Lisbon and again agree to the partition plan. But the New York Times will report a year later, “On returning to Sarajevo, Mr. Izetbegovic was encouraged by United States and European Community diplomats to choose instead a sovereign Bosnia and Herzegovina under his presidency, saying that was justified by the referendum on March 1 on independence.” [New York Times, 6/17/1993] War will break out one month later (see April 6, 1992). The final agreement at the end of the war three years later will closely resemble the agreement almost signed before it began (see December 14, 1995). Muhammed Cengic, who has close ties to Bosnian intelligence, negotiates a military cooperation agreement with Turkey. According to Prof. Cees Wiebes, the agreement ostensibly involves Turkish purchases of Bosnian arms, but “it is reasonable to assume that the Turkish-Bosnian arms traffic in reality went in the opposite direction.” The Cengic family is very powerful in Bosnia. Western intelligence sources describe them as “Mafia.” [Wiebes, 2003, pp. 178-179] The clan also includes Hasan Cengic, who is one of the key figures in the Third World Relief Agency charity front and illegal weapons pipeline (see Mid-1991-1996). Jamal al-Fadl travels to Vienna and has meetings with the Third World Relief Agency (TWRA), which has its headquarters in Vienna. He opens up a Vienna bank account and al-Qaeda operative Wadih El-Hage also opens up a Vienna bank account around this time. Presumably these accounts are used by al-Qaeda to send money to TWRA for operations in Bosnia. Around the same time, al-Qaeda leader Mamdouh Mahmud Salim tells al-Fadl that al-Qaeda’s goal is to make Bosnia a base for European operations. [United States of America v. Usama bin Laden, et al., Day 21, 3/22/2001; USA v. Enaam M. Arnaout, 10/6/2003, pp. 24-25 ] TWRA will funnel hundreds of millions of dollars into Bosnia for illegal weapons purchases over the next several years while the US watches but fails to act. 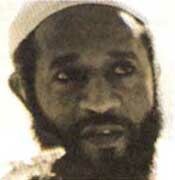 In 1996, al-Fadl will defect from al-Qaeda and tell all he knows to US investigators (see June 1996-April 1997). 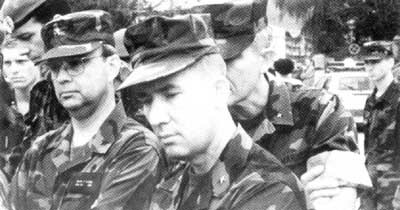 Abu Abdel Aziz Barbaros in Bosnia in September 1992. His beard is dyed with henna. [Source: Pascal le Segretain / Corbis]Jamal al-Fadl, an al-Qaeda financial agent, is sent from bin Laden’s headquarters in Sudan to Zagreb, Croatia, to gather information about the Bosnian war and the prospects of buying businesses in Croatia for al-Qaeda. In Croatia, he meets with Enaam Arnaout (who will soon become the head of the Benevolence International Foundation (BIF) in the US), and al-Qaeda operatives Abu Abdel Aziz Barbaros (a.k.a. 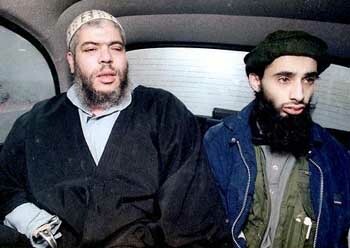 Abdel Rahman al Dosari), and Abu Zubair al Madani, one of bin Laden’s cousins (he will later be killed fighting in Bosnia). Barbaros tells al-Fadl that al-Qaeda is seeking to create training camps in Bosnia, develop relationships with Bosnian charities, and establish businesses to help finance al-Qaeda activities. He says that BIF is providing money for al-Qaeda to buy weapons to use in Bosnia and that they have already obtained some weapons from Germany with the help of BIF and Mohammed Loay Bayazid (who also works for BIF in the US). 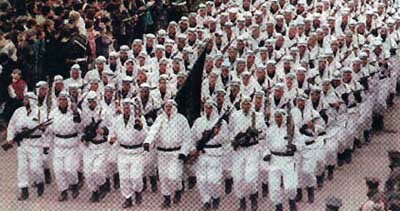 According to a later Justice Department indictment, Barbaros also says that “al-Qaeda’s goal in Bosnia [is] to establish a base for operations in Europe against al-Qaeda’s true enemy, the United States.” Around this time, BIF begins providing food, clothing, money and communications equipment to fighters in Bosnia, including the elite Black Swans unit. [USA v. Enaam M. Arnaout, 10/6/2003, pp. 24-25 ; Kohlmann, 2004, pp. 16-17] In 1996, al-Fadl will defect from al-Qaeda and tell all he knows to US investigators (see June 1996-April 1997). The UN Security Council votes to impose a naval blockade around Serbia (which does not have much effect since Serbia is a landlocked country). While debating the resolution, a number of Islamic countries argue that Bosnia should be excluded from the arms embargo that was imposed on all former Yugoslavia republics in September 1991 (see September 26, 1991). But the US successfully leads an effort to shoot down the proposal. Former US Secretary of State Cyrus Vance tells the Security Council, “It taxes credulity to suggest that lifting the arms embargo for only one party is either feasible or desirable.” [New York Times, 11/17/1992] Ironically, around the same time, the US begins to secretly support Bosnian Muslim efforts to violate the embargo using a charity front controlled by radical militants (see September 1992). In 1996, the Washington Post reports that the Saudi Arabian government spent hundreds of millions of dollars to channel weapons to the Muslim Bosnians, and that the US government knew about it and assisted it. An anonymous Saudi official who took part in the effort will say that the US role “was more than just turning a blind eye to what was going on.… It was consent combined with stealth cooperation.… American knowledge began under [President George] Bush and became much greater under [President] Clinton.” The Bosnian program was modeled on Saudi and US cooperation to fund the mujaheddin in Afghanistan in the 1980s. The major difference is that if Afghanistan the Saudis and Americans split the costs, but in Bosnia the Saudis pay for everything. They spend $300 million on illegal weapons deliveries plus around $500 million in Saudi aid to the Bosnian government. The US helps because Saudi Arabia lacks the “technical sophistication” to mount the operation on their own. The Post will report, “The official refused to go into detail about the American role in the operation, other than to say that the Saudis had made use of the same ‘network’ of undercover operatives, arms salesmen, and ‘former this and former that’ set up during the Afghan operation.” The official does say, “We did not set up a formal structure, the way we did in Afghanistan. But logic tells you that without the consent of NATO, the United States, and Germany, there was no way it could have happened.” Most of the weapons go through Croatia since Bosnia lacks good access to the sea, and the Croatian government takes a cut of up to half of all the weapons. Some emergency deliveries are made through “secret nighttime flights to Tuzla and other airports under the control of the Bosnian authorities.” Other supplies come by sea, with NATO apparently turning a blind eye in their naval blockade of the coastline. 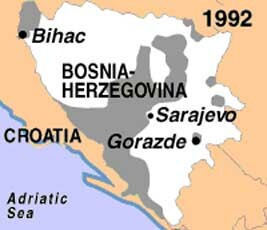 The direct aid given to Bosnia is used to buy weapons on the black market at high prices, sometimes from Serb enemies. US government officials will later deny any such arrangement took place, but British, French, and other officials believe the US was secretly involved in efforts to arm the Bosnians. 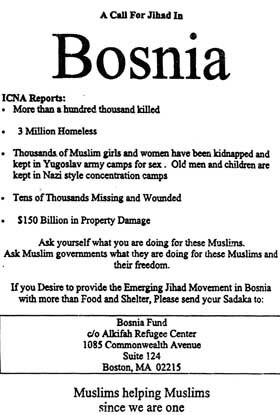 [Washington Post, 2/2/1996] Much of the money must go through the Third World Relief Agency (TWRA), since most illegal weapons get to Bosnia through the TWRA. This charity front has ties to Osama bin Laden and other radical militants (see Mid-1991-1996). 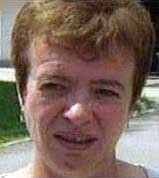 The Independent will report in 1998, “In December 1992, a US army official met one of the Afghan veterans from Al-Kifah [Refugee Center] and offered help with a covert operation to support the Muslims in Bosnia, funded with Saudi money, according to one of those jailed for assisting with the New York bombings. But that effort quickly disintegrated, leaving a great deal of bad feeling.” [Independent, 11/1/1998] More details about this are not known. However, the plan may not have necessarily failed because it will later be reported that that very same month, double agent Ali Mohamed, an-ex US Special Forces soldier, is part of a 14-man al-Qaeda team made up of retired US military personnel that enters Bosnia through Croatia to train and arm mujaheddin fighters there in 1992 (see December 1992-June 1993). Mohamed is also closely tied to the Al-Kifah Refugee Center, which is located in Brooklyn, New York (see 1987-1989). Al-Kifah is closely tied to both al-Qaeda and the CIA (see 1986-1993). Also that same month, a Bosnian charity front largely funded by Saudi money begins paying for a militant training camp in Pennsylvania that trains some of those later arrested for roles in the New York bombing (see December 1992-Early February 1993). Clement Rodney Hampton-El, one of the 1993 “Landmarks” bombers (see June 24, 1993), is summoned to the Saudi Embassy in Washington and told that wealthy Saudis are sponsoring fighters in Bosnia. Hampton-El has longstanding links to the International Islamic Relief Organization (IIRO), which is closely tied to the Saudi government (see October 12, 2001). He is given $150,000 to recruit and train people in the US to fight in Bosnia. [Schindler, 2007, pp. 121-122] He starts a militant training camp in Pennsylvania that same month (see December 1992-Early February 1993) and gets $150,000 overseas from a bin Laden linked charity front (it is not known if this is the same $150,000 or additional money) (see Late 1992-Early 1993). The Saudi embassy also introduces him to a radical imam named Bilal Philips. Philips, a Canadian citizen and author on Islamic topics, has been employed by the Saudi government since early 1991 to proselytize among US soldiers stationed in Saudi Arabia (see March-September 1991). Philips gives Hampton-El a list of likely candidates who are ex-US soldiers that Philips recently helped convert to Islam. [Schindler, 2007, pp. 121-122] That same month, 14 ex-US soldiers go to Bosnia to fight and train there (see December 1992-June 1993). They are led by double agent Ali Mohamed, who, like Hampton-El, is closely tied to the Al-Kifah Refugee Center in New York. The bombing of a bread line in Sarajevo on May 27, 1992. A mortar attack on July 17, 1992, hitting a bunker where British minister Douglas Hurd was meeting with Bosnian President Alija Izetbegovic. Ten bystanders were killed or wounded. An August 4, 1992, explosion at a cemetery while two orphans were being buried. A Ukrainian soldier killed in Sarajevo on December 3, 1992, was similarly shot by small arms fire which would imply the Bosnian Muslims. According to a senior Western diplomat, in 1993 the Clinton administration learns about the Third World Relief Agency (TWRA) and its real purpose of secretly violating the UN embargo to get weapons to Bosnia (see Mid-1991-1996). But the US takes no action to stop its fund-raising or arms shipments. The diplomat will later say, “We were told [by Washington] to watch them but not interfere. 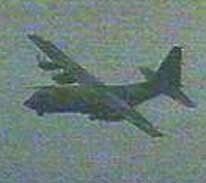 Bosnia was trying to get weapons from anybody, and we weren’t helping much. The least we could do is back off. So we backed off.” TWRA has key offices in Austria and Germany, but authorities in both those countries refrain from shutting down TWRA as well. Austrian officials will later admit that “public pressure to support Bosnia’s Muslims allowed them to turn a blind eye to the agency’s activities.” [Washington Post, 9/22/1996] However, it seems probable that the US found out about TWRA’s smuggling activites earlier, when they were exposed in late 1992 (see September 1992). Further, there are suggestions that the US may have tacitly agreed to the illegal smuggling and even helped with it from the very beginning (see Late 1992-1995). The TWRA is linked to bin Laden and other radical militants, and in 1993 it helps fund bomb plotters in the US, but the FBI does not act on that link (see Late 1992-Early 1993 and Early April 1993). The US government, in collaboration with Hasan Cengic and his father Halid Cengic, starts work on an airport in Visoko, Bosnia, northwest of Sarajevo. This will become a major destination of a secret US arms pipeline into Bosnia. [Wiebes, 2003, pp. 179] US Special Forces are apparently secretly involved in the construction. [Scotsman, 12/3/1995] The Cengics are radical Muslims and Hasan Cengic is heavily involved with an illegal weapons pipeline into Bosnia controlled by radical militants (see Mid-1991-1996). The airport will be completed in late 1994 (see Late 1994-Late 1995). Bin Laden visits Bosnian President Alija Izetbegovic in Sarajevo. He sponsors some fighters from Arabic countries to fight on the Muslims’ side in Bosnia. [New York Times, 10/20/2003] Izetbegovic gives bin Laden a Bosnian passport the same year as a gesture of appreciation for his support (see 1993). A CIA report in 1996 will conclude bin Laden did visit the Balkans region in 1993, though it will not definitively state he went to Bosnia. [Gunaratna, 2003, pp. 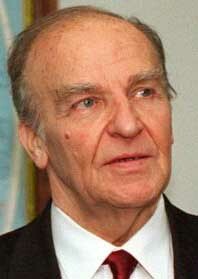 176, 340] Bin Laden will also visit Izetbegovic in 1994 (see November 1994 and 1994). Agim Ceku. 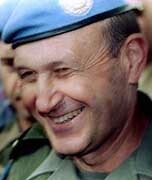 [Source: Viewimages.com]Croatian General Agim Ceku’s troops in Croatia are responsible for many atrocities against the Croatian Serbs, witnessed by Canadian peace-keeping forces. The Canadian testimony ultimately leads to a sealed indictment against Ceku being issued by the Hague Tribunal. [Taylor, 2002, pp. 164] Ceku will be elected prime minister of Kosovo in 2006 despite the still pending war crimes charges (see January 1999). President Bill Clinton. [Source: Library of Congress]Bill Clinton replaces George H. W. Bush as US president. 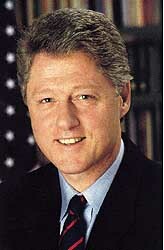 He remains president until January 2001. In June 1993, Abu Ubaidah Yahya will tell the New York Times that early in the year he went to Bosnia with several other Muslims from the New York region to help embattled Bosnian Muslims “with technical advice and medical aid.” [New York Times, 6/26/1993] Yahya is an ex-US Marine connected to numerous figures in the 1993 WTC bombing and “Landmarks” bombing plots, and US intelligence had him under surveillance since January 1993 (see January 7-13, 1993), although how intensive the surveillance was is unknown. The FBI is aware that Yahya repeatedly travels in the spring of 1993 to Vienna, Austria, to pick up money from the Bosnian-linked Third World Relief Agency charity front (see Early April 1993), so presumably he goes to nearby Bosnia on some or all of those trips. It is likely he and his group actually go to Bosnia to fight, since one of his associates told an FBI informant that Yahya and a group of about ten men he trained were going to fight in Bosnia once their training session was over, and the training ended in February 1993 (see December 1992-Early February 1993). Saudis also gave Yahya’s close associate Clement Rodney Hampton-El a considerable amount of money to train militants in the US to fight in Bosnia (see December 1992). [Miller, Stone, and Mitchell, 2002, pp. 113] Yahya is the security chief of the Al-Kifah Refugee Center, a charity front linked to both al-Qaeda and the CIA (see 1986-1993). A group of US militants linked to Al-Kifah go fight in Bosnia starting in December 1992, but this must be a different group since Yahya is still training his group for another two months (see December 1992-June 1993 and December 1992-Early February 1993). Clement Rodney Hampton-El. [Source: Jolie Stahl]FBI investigators begin monitoring Clement Rodney Hampton-El’s house in New York as they close in on the militants involved in the “Landmarks” plot (see June 24, 1993). They listen in on a call from Hampton-El’s right-hand man, Abu Ubaidah Yahya, as he is in Vienna, Austria, picking up money from the Third World Relief Agency (TWRA) for the militants in the US tied to the Landmarks plot. Over the next few months, Yahya is tracked as he makes several trips from the US to Vienna, picking up about $100,000. [Miller, Stone, and Mitchell, 2002, pp. 113] Hampton-El had also been in Vienna earlier in the year, picking up more money from TWRA for the plotters (see Late 1992-Early 1993). TWRA is funneling a huge amount of weapons to Muslim Bosnia in violation of a UN embargo but with the tacit approval of the US government (see Mid-1991-1996). It also has ties to radical militants like bin Laden and Sheikh Omar Abdul-Rahman. The Washington Post will later report that, “Intelligence agencies say they have tapes of telephone calls by Abdul-Rahman to [TWRA’s] office.” The “Landmarks” bombers are closely associated with Abdul-Rahman and will be convicted along with him. [Washington Post, 9/22/1996] A secret 1996 CIA report will state that “according to a foreign government service” Elfatih Hassanein, the head of TWRA, “supports US Muslim extremists in Bosnia.” [Central Intelligence Agency, 1/1996] But apparently the US does not go after TWRA for its ties to the “Landmarks” plotters and the connection will not be publicized for years. In late 1993, the FBI discovers that WTC bomber Ramzi Yousef used a mosque in Milan, Italy, known as the Islamic Cultural Institute, as a logistical base (see Late 1993-1994). The Italian government begins investigating the mosque and soon discovers that it is the main European headquarters for Al-Gama’a al-Islamiyya, a radical Egyptian militant group, and is also the logistical base for mujaheddin traveling to fight in Bosnia. The mosque is run by Anwar Shaaban, who has a close working relationship with Sheikh Omar Abdul-Rahman, and who also stays in regular contact with al-Qaeda second-in-command Ayman al-Zawahiri. Shaaban runs a training camp thirty miles outside of Milan where fighters heading to Bosnia can practice using weapons and explosives. The mosque also helps smuggle men, money, and weapons to Bosnia. [Schindler, 2007, pp. 163-164] On June 25, 1995, Italian police raid the mosque and over 70 other locations in northern Italy. Seventeen people are indicted and eleven of them are arrested, but that is only a fraction of the hundreds investigated. Inside the mosque, police find forgery tools, letters to wanted radicals around the world, and hundreds of false documents. Plots to bomb targets in other countries and a US target elsewhere in Italy are averted. Shaaban escapes arrest, as he had already left the country, but he is killed in Croatia a short time later (see December 14, 1995). [United Press International, 6/26/1995; Vidino, 2006, pp. 216-218] But the Islamic Cultural Institute will soon reopen and continue to be a focal point for radical militants in Europe. It will be linked the 9/11 attacks and other violent plots (see Late 1998-September 11, 2001). Intelligence services operating in the Balkans, especially US intelligence, become increasingly politicized and are under pressure to produce reports with a pro-Bosnian, anti-Serb slant. [Wiebes, 2003, pp. 86, 141] For instance, one CIA report in 1995 blaming the Bosnian Serbs for the vast majority of the ethnic cleansing in Bosnia will later be accused of distorting the facts to fit an anti-Serb slant (see March 9, 1995).